Genome sequencing including whole genome sequencing also called de novo sequencing, Human genome and exome re-sequencing, animal & plant re-sequencing and metagenome sequencing, is the most important method for researchers to interpretgenome information of a particular species and study genetic variation of a particular individuals with a reference genome sequence. 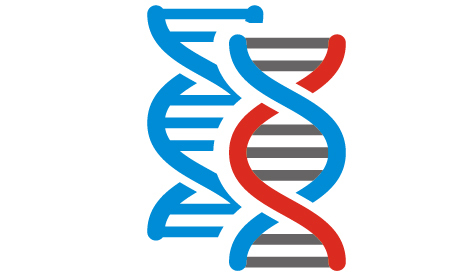 Human genome and exome sequencing enable researchers to study the genetic and somatic variants which present in a variety of human diseases.Genome re-sequencing is a powerful tool for population evolutions and GWAS research on human, animal, plants, microbes, etc. Metagenome sequencing is primarily applied to reveal relation of microbes and their living environments, especially human gut microbiota. Bai Y. The sequence and de novo assembly of the giant panda genome[J]. Nature, 2009, 463(7279). Cao W, Wu W, Yan M, et al. Multiple region whole-exome sequencing reveals dramatically evolving intratumor genomic heterogeneity in esophageal squamous cell carcinoma[J]. Oncogenesis, 2015, 4(11):e175. Dan W, Zhu F, Zhu X, et al. Draft genomic sequence of a selenite-reducing bacterium, Paenirhodobacter enshiensis, DW2-9 T[J]. Standards in Genomic Sciences, 2015, 10(1):1-8.